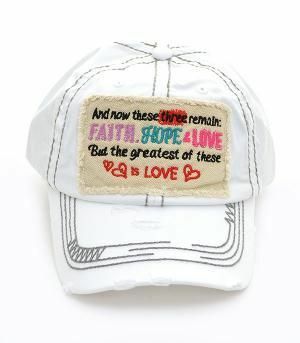 And now these three remain; Faith, Hope & Love But the greatest of these is LOVE Hat for women in white. Distressed style, 100% cotton with velcro adjustable back. 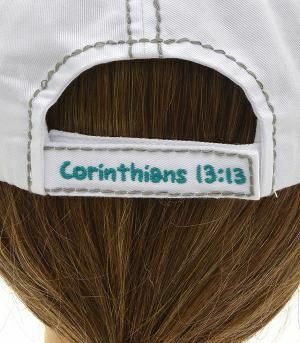 Scripture on back of hat; see photo below. By KBethos.